Babel Buster® BB2-7010 is a BACnet IP to Modbus gateway that functions as a BACnet IP client or server, and Modbus master or slave. The purpose of the BB2-7010 is to connect Modbus devices to a BACnet IP network. 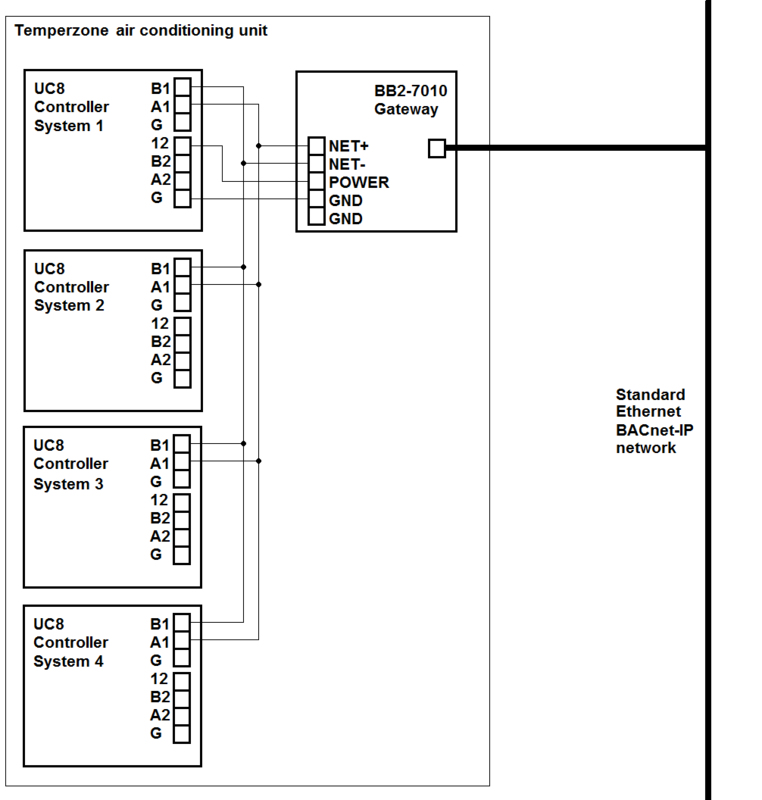 It is compatible with temperzone's UC8 controller only (not UC7) which has built-in Modbus capability.